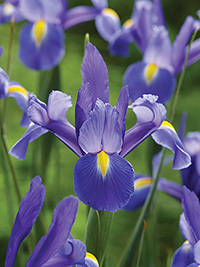 A recent release, Chopin is a medium blue, tall and early flowering. Widely grown for cut flowers. Early to mid-season flowering, 85 cm tall.